Charles Anthony "Tony" Standish Brooks (born 25 February 1932 in Dukinfield, Cheshire) is a British former racing driver from England also known as the "racing dentist". He participated in 39 Formula One World Championship Grands Prix, debuting on 14 July 1956, achieving six wins, 10 podium finishes and 75 career points. He was third in the World Drivers' Championship in 1958 and second in 1959. He also scored the first win by a British driver in a British car in a Grand Prix since 1923, in 1955 driving a Connaught at Syracuse in a non-World Championship race. Brooks was born on 25 February 1932, in Dukinfield, Cheshire, and educated at Mount St Mary's College. He is the son of a dental surgeon, Charles Standish Brooks, and studied the practice himself. He is also a cousin of Norman Standish Brooks, a former British Olympic swimmer. 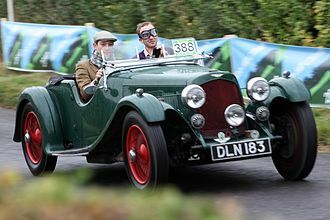 He took up racing in 1952 and drove a Healey and a Frazer Nash at club events until 1955. In that same year, Brooks drove a Formula Two Connaught at Crystal Palace and finished fourth. 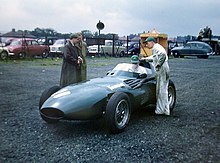 Brooks shared this Vanwall VW5 with Stirling Moss to win the 1957 British Grand Prix. 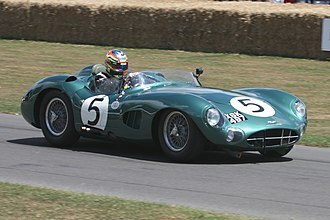 Brooks claimed the first victory for a British-constructed car in a World Championship race in the 1957 British Grand Prix at Aintree, which he shared with Sir Stirling Moss. Along with Moss, Brooks is considered one of the best drivers never to have been World Champion and both Moss and three-time World Champion Jack Brabham were known to have thought highly of his ability. In 1959, Brooks, together with Brabham and Moss, had a chance to win the title due to the retirement (and subsequent death in a road accident) of Mike Hawthorn and the death, the previous season, of Peter Collins. Brooks started well, with a second place at Monaco, behind Brabham. He failed to finish at the Dutch Grand Prix, but dominantly won the French Grand Prix at Reims. Having failed to finish in a Vanwall at the British Grand Prix which he drove due to Ferrari workers in Italy being on strike, he won the only German Grand Prix of Formula One to be held at AVUS. The race was split unusually into two heats, and he won both. 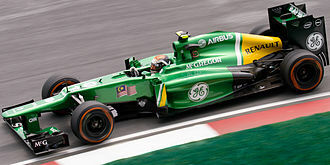 He had a slow car in Portugal, qualifying 10th and finishing five laps down. 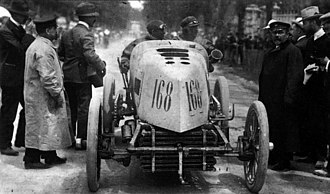 He retired shortly after the start at Monza but was still in contention to win the championship. At the first ever United States Grand Prix for Formula One at Sebring, he was hit by German teammate Wolfgang von Trips and pitted to check for any damage, losing two minutes. It proved to be a waste of time, but still finished in third place. He finished second in the championship with 27 points, seven behind Brabham, and one-and-a-half ahead of Moss. 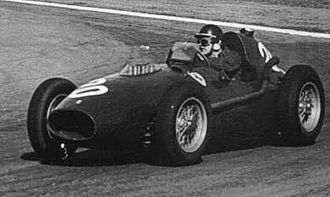 Brooks won six races for Vanwall and Ferrari, secured four pole positions, achieved ten podiums, and scored a total of 75 championship points. He drove for BRM but retired from the team at the end of 1961, just before their most successful season. He ended his career with a third place at the first ever United States Grand Prix at Watkins Glen. He was also an accomplished sports car driver, winning both the 1957 1000 km Nürburgring and the 1958 RAC Tourist Trophy, with co-driver, Moss, racing an Aston Martin DBR1. He was less successful at Le Mans in 1957, due again to an accident which occurred while racing an Aston Martin DBR1 at that year's 24-hour race, which brought about a change in his racing philosophy. A crash in the 1956 British Grand Prix and the subsequent Le Mans crash both occurred in cars with mechanical problems, of which he was aware, and Brooks, being a devout Catholic, vowed he would never again risk his life in a car that was in less than sound condition. He had fewer qualms when it came to his own condition, however: "I was lucky in the Le Mans shunt in that I didn't break anything, but I did have very severe abrasions – there was a hole in the side of my thigh I could literally have put my fist into." It was with these injuries that he went on to race in the 1957 British GP with Moss, and win. In 2008, Brooks was honoured by his home town. The Dukinfield District Assembly, part of Tameside Council, held a dinner in his honour and unveiled a plaque outside his former home on Park Lane. * Tony Brooks won the 1957 British Grand Prix sharing his car with Stirling Moss. Both were awarded half points for their victory (4 instead of 8). ** Brooks was also awarded one point in the 1957 Italian Grand Prix and 1959 German Grand Prix for recording the fastest lap. ^ Small, Steve (1994). The Guinness Complete Grand Prix Who's Who. Guinness. p. 83. ISBN 0851127029. ^ "Tony Brooks Profile". Grandprix.com. Retrieved 26 January 2016. ^ Benson, Andrew (10 April 2012). "BBC Sport – Formula 1's greatest drivers. Number 18: Jack Brabham". Bbc.co.uk. Retrieved 15 August 2012. ^ Deschenaux, Jacques (1983). Marlboro Grand Prix Guide 1950–82. Brentford UK: Charles Stewart & Company (Kirkcaldy). p. 93. ^ "Tony Brooks (GB) – All Results". Racing Sports Cars. Retrieved 26 January 2016. ^ a b Roebuck, Nigel (September 2003). "Legends Tony Brooks". Motor Sport magazine archive. p. 26. Retrieved 2016-08-29. ^ Small, Steve (1994). The Guinness Complete Grand Prix Who's Who. Guinness. p. 82. ISBN 0851127029. Wikimedia Commons has media related to Tony Brooks. Dukinfield is a town in Tameside, Greater Manchester, England, on the south bank of the River Tame opposite Ashton-under-Lyne,6.3 miles east of Manchester. At the 2011 Census, it had a population of 19,306, historically part of Cheshire, the town developed as a result of the Industrial Revolution when it became the site of coal mining and cotton manufacturing. The earliest evidence of activity around Dukinfield comes from a collection of four flints from the late Neolithic/early Bronze Age. The artefacts were discovered on the site of Dukinfield Hall and have taken as evidence of a prehistoric settlement on the site. There is no evidence of activity in the area until the Roman period. A 3rd century bronze Roman coin, from the reign of Emperor Tetricus I was discovered in the town, Dukinfield means open land of the ducks and derives from the Old English duce and feld. Early records show the township was included in the fee of Dunham Massey and it was held by Matthew de Bramhall in about 1190 and after that by a family who took the name De Dokenfeld. During the English Civil War, Colonel Robert Duckenfield of Dukinfield Hall was a commander in the New Model Army. The baronetcy, Dukinfield of Dukinfield, Cheshire was created in 1665 for Robert Dukinfield, the Dukinfields held the manor for five centuries until the widow of Sir William Dukinfield Daniel married the artist, John Astley, in 1767. In 1848 his descendant, colliery owner Francis Dukinfield Palmer Astley, was the lord of the manor, Dukinfield Lodge was built by the Astleys on a hill overlooking the River Tame. Industrialisation – particularly the cotton trade – helped shape the town, two cotton mills were built before 1794 and by 1825 there were seven. The industry continued to expand and by the end of the 19th century 14 spinning mills of varying sizes were in operation. The largest mills were built in brick during the 1890s with four or five storeys, large windows, ornamental towers, engine houses and they included Tower, Tame Valley, Park Road and Queen Mills. Most of the mills have now been demolished, but some have been preserved and converted into flats. Mount St Marys College is an independent, coeducational and boarding school situated at Spinkhill, near Sheffield, England. Although most teaching staff are lay members, the school retains its Catholic ethos. Its affiliated preparatory school is Barlborough Hall School, just 2.2 miles down the road, the Jesuit mission to England began in 1580 with the secret arrival of Robert Persons, Edmund Campion, and Ralph Emerson. After Campion’s arrest the following year, Persons slipped back to the European mainland where he spent most of the rest of his life preparing others for the Jesuit mission to England. One of the first things he did was to set up a school for English boys who had no hope of receiving a Catholic education in their own country. Many of its students went on to become priests, returning to England to work, in England, there were several clandestine schools, one of them was at Stanley Grange in Derbyshire. When this school was discovered and dispersed by the authorities, it did not cease to exist, Spinkhill had been a centre of Jesuit activity from the 1600s. The Jesuit English Province was organised territorially into a number of colleges, the founder of the college was Fr. Provincial of the Society of Jesus in England, the college buildings date, in part, from the 16th and 17th centuries, the Sodality Chapel being the earliest remaining building. The Jesuits had a college at Holbeck Woodhouse, near Welbeck, which was raided by the soldiers of Charles II, joseph Hansom, an architect and inventor of the Hansom Cab, built the first college buildings in 1840. In 1850 the Hopkins wing was constructed, the new college was begun in 1876 and completed in 1912. The school chapel, designed by Adrian Gilbert Scott, was completed in 1924 as a memorial to former pupils killed in World War I. In the atrium to the chapel can be more than 100 names of former pupils of the school killed in the Second Boer War, World War I. In 1939 Barlborough Hall, an Elizabethan manor some two miles from Spinkhill, was acquired to serve as a school to Mount St Marys College. The school was boys-only until the 1970s, when girls were admitted as day students, girls were allowed to board in 1984. Connaught Engineering, often referred to simply as Connaught, was a Formula One and sports car constructor from the United Kingdom. Their cars participated in 18 Grands Prix, entering a total of 52 races with their A, B and they achieved 1 podium and scored 17 championship points. The name Connaught is a pun on Continental Autos, the garage in Send, which specialised in sales and repair of European sports cars such as Bugatti, and where the cars were built. In 1950 the first single-seaters, the Formula 2 A types, the engine was extensively re-engineered and therefore is truly a Connaught engine. The cars were of conventional construction for the time with drive through a gearbox to a de Dion rear axle. In 1952 and 1953 the races counting towards the World Championship were to Formula 2 rules so drivers of cars could take part in those events as the table below shows. The first cars were built with all-enveloping aerodynamic bodywork but rebodied conventionally. In 1955, driving a Connaught in this form, Tony Brooks scored the first win in a Grand Prix by a British driver in a British car since 1923, in a non World Championship race at Syracuse. Sebring International Raceway is a road course auto racing facility located near Sebring, Florida. Sebring Raceway is one of the oldest continuously operating tracks in the United States. Sebring is one of the race tracks in North American sports car racing. Sebring raceway occupies the site of Hendricks Army Airfield, a United States Army Air Forces training base for Boeing B-17 Flying Fortress pilots in operation from 1941 to 1946, Sebrings first race was held on New Years Eve of 1950, attracting thirty race cars from across North America. The Sam Collier 6 Hour Memorial race was won by Fritz Koster, the first 12 Hours of Sebring was held on March 15,1952, shortly growing into a major international race. In 1959, the hosted the U. S. first Formula One race. However poor attendance and high costs relocated the next U. S, Grand Prix to Riverside International Raceway in Southern California. For much of Sebrings history, the followed a 5.2 miles layout. This was closer to the hairpin and allowed a run through a very fast corner to the top of the track. 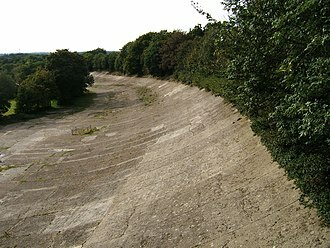 In 1983 the circuit was changed to allow use of the track. 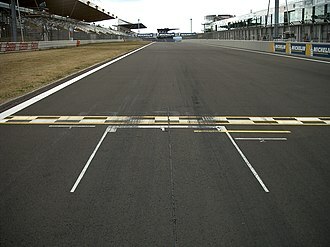 In 1987 more changes allowed use of another runway, in 1997, the hairpin was removed due to a lack of run-off, and replaced with what became known as the safety pin. Gendebien Bend was re-profiled to slow the entry to the Ullman straight. 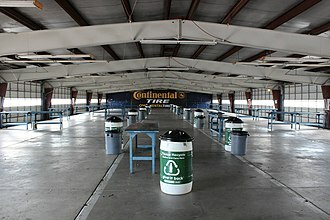 The track is often recognized for its famous, high-speed Turn 17, the corner can fit up to 3 cars wide. Skip Barber Racing School holds numerous programs at the facility, including a Scholarship opportunity for young racers, Sebring International Raceway consist of three tracks, the Full Circuit, the Short Circuit, and the Club Circuit. 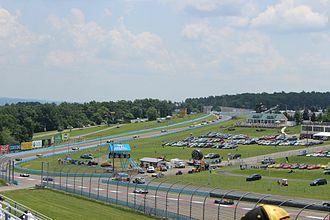 The course of the track itself is 3.74 miles long and it is a seventeen-turn road course with long straights, several high-speed corners, and very technical slower corners. Many of the turns and points along the track are named for the early teams, there is very little elevation change around the track and little camber on the surface, providing a challenging track for drivers, especially when it rains. The 1959 British Grand Prix was a Formula One motor race held at the Aintree Circuit on 18 July 1959. It was the round of the 1959 Formula One season. It was the 14th British Grand Prix and the third to be held at the Aintree Motor Racing Circuit, the race was held over 75 laps of the four kilometre circuit for a race distance of 362 kilometres. 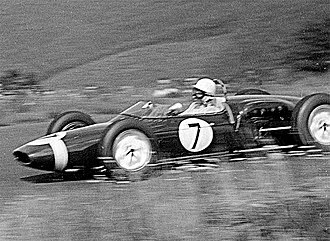 The race was won by Australian Jack Brabham taking his second Grand Prix victory in a works Cooper T51, Brabham dominated the race, leading all 75 laps to win by 22 seconds over British driver Stirling Moss driving a British Racing Partnership entered BRM P25. It was the first time a BRP entry finished in the top three, brabhams Cooper Car Company team mate, New Zealader Bruce McLaren finished in third place, just 0.2 seconds behind Moss, having lost second place late in the race. Harry Schell finished fourth for the Owen Racing Organisation BRM team a lap behind Brabham, the British Grand Prix had the biggest entry of the season outside of the Indianapolis 500 with 30 cars competing and 24 starting the race, all despite the absence of Ferrari. The Hotel de France is a historic hotel in the centre of the town of La Chartre Sur Le Loir. The 22 room hotel, with its Art Deco facade, is located at 20 and it is famous for its long association with the drivers and cars of the Le Mans 24 Hours race. The hotel opened for business in 1905, having been run by the Pasteau family for the past four generations, from 1953, it was used as headquarters for Le Mans racing teams, most notably by teams managed by John Wyer. Wyer ran the victorious Aston Martin and Gulf Oil teams from the hotel, his first Le Mans victory, celebrated at the hotel, as a consequence, the hotel is full of motor racing history. The hotel is a mecca for fans of the Le Mans 24 Hours race, the bar walls are covered with photos of past and present racing drivers, many of them signed by the drivers themselves. The hotel underwent a refurbishment at the start of 2014. To date the hotel has been visited by famous racing drivers, film stars, leaders of state. Steve McQueen when preparing for the cult 1971 movie Le Mans, president Rene Coty of France, Prince Bertil of Sweden, Pierre Salinger and the children of both John F Kennedy and Robert Kennedy. Old Chapel - at the top of Crescent Road - next to the "Top Astley"
All but one of the Maserati 250Fs retired from the race. The BRP-entered BRM P25 which Stirling Moss drove to second place in the 1959 British Grand Prix, BRP's first podium finish.